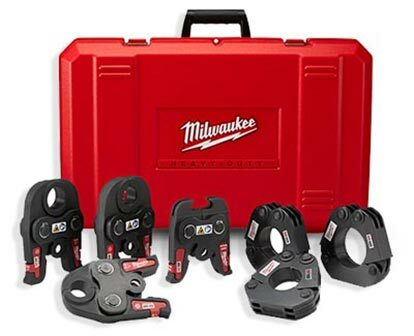 MILWAUKEE® FORCE LOGIC™ Press Tools were designed to work on all major brands of fittings, providing unmatched versatility. Combined with 190+ solutions on the same battery MILWAUKEE® delivers the ultimate productivity enhancement with the only solution in press to cut, fasten, and connect on one interchangeable battery platform. FORCE LOGIC™ Press Tools are engineered to not only improve upon, but fundamentally change the way pipe is connected in the field. Through thoughtful design focused on workflow, these press tools simplify a cumbersome sweat and solder process to deliver the best user experience of its kind. Whether it's the M12™ FORCE LOGIC™ Press Tool, completing a water heater change out before a competitor could even drain and dry a system or the M18 FORCE LOGIC™Press Tool's brushless motor, delivering quick and consistent connections across an entire commercial job, FORCE LOGIC™ is the smartest way to work. 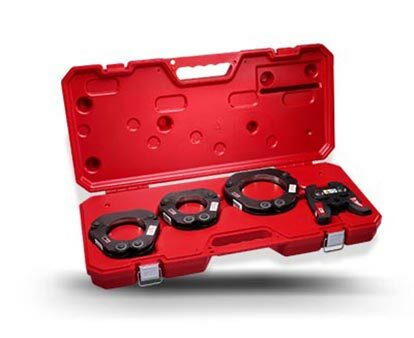 FORCE LOGIC™ Press Tools are compatible with MILWAUKEE® Jaws and Rings, as well as other manufactures accessories, making these tools highly versatile. 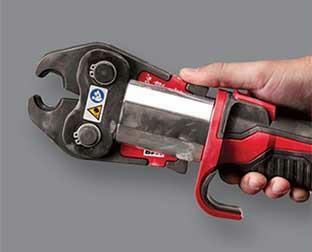 FORCE LOGIC™ Press Tools are compatible with over 13 unique fitting systems to get the job done. See below for details. Open jaw and activate tool with one hand. Also compatible with ring kits, pressing up to 4"*. Unrivaled access in tight spaces. Press anywhere you can fit your arm. Tool automatically completes each press once engaged. Green light indicates full cycle has been completed. Automatically ensures enough charge to complete each press. Tool lights indicate when calibration is needed. Compatible with the entire M18™ System, REDLITHIUM™ batteries provide more run-time, recharges, and reliability than the competition. 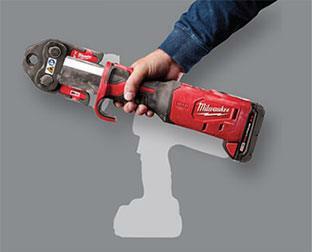 Industry’s smallest and lightest full-size press tool. Up to 30% lighter than competition. Industry's longest Calibration Interval: 50,000 Cycles. The M12™ FORCE LOGIC™ Press Tool is the smallest and lightest press tool in the market delivering unrivaled access in the tightest spaces. Featuring a one-handed, in-line design, this press tool allows connections to be made nearly anywhere you can fit your arm. 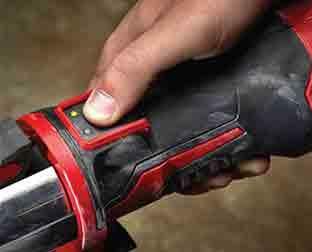 Pressing up to 1-1/4″, the M12™ FORCE LOGIC™ Press Tool is ideal for residential and service plumbers, making them more productive and profitable by helping to save time on each job. Press is a method of joining pipe that uses force to make a connection, eliminating the need to solder, groove, braze, thread, or weld. Utilizing only three short steps, connections can be completed up to 50% faster than traditional methods, and involve no open flame. Most importantly, press eliminates the need to drain and dry a system, enabling fast, professional repairs and increased productivity on service calls.